You can slap your and your friend's cartoon faces all over your conversations. If you have an iOS device, you'll soon be able to use graphics a lot more personalized than emoji when chatting with friends. For the first time ever, Friendmojis -- Bitmoji stickers that feature you and a friend -- will be available outside of Snapchat. You'll be able to access you and your friend's mini mes through the Bitmoji keyboard for iOS, though both of you should have created cartoon versions of yourselves, of course. Also, you'll have to make sure your Snapchat account is linked* with your Bitmoji app, because the options you'll find in the keyboard depends on your friend network on the ephemeral messaging service. You'll be able to find Friendmojis you can use when you tap on the friend icon in the upper right corner of the keyboard, though you can also search for specific contacts. The most recent friend you've talked to will appear at the top of the results, so it's a lot easier to find Friendmojis for your closest pals. Is this a part of Snapchat's plan to make sure you're hooked on Bitmojis before Facebook's version arrives? We have no idea. 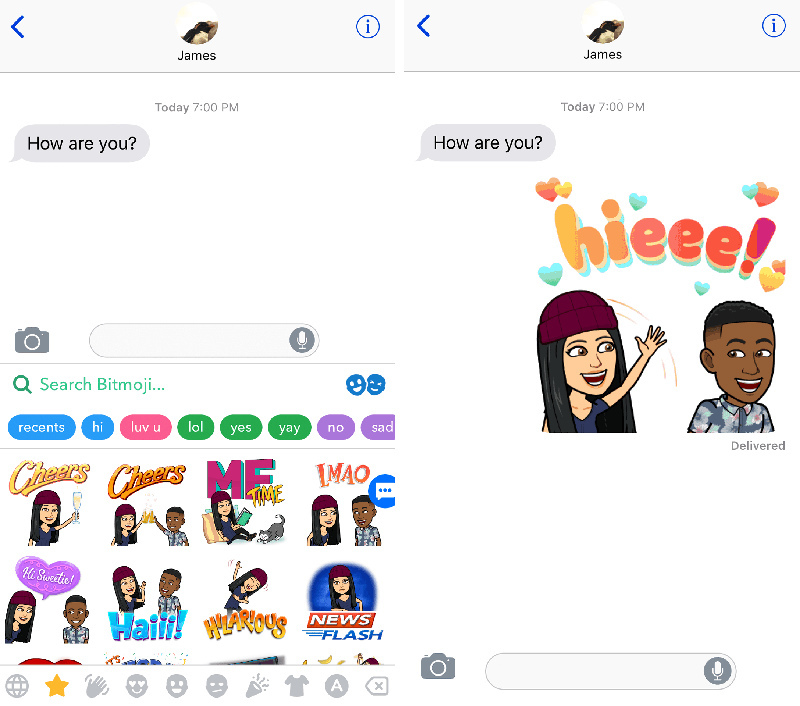 But Snapchat says the feature will roll out slowly over the coming days, so you'll see Friendmojis pop up in the iOS Bitmoji keyboard in the near future. *Update: To be clear, you need to be logged into Bitmoji with your Snapchat account to see Friendmojis in the iOS Bitmoji Keyboard. If you still can't see your BFFmojis, try doing that!